Christiane Elin of Red Glean chatted with hosts of Destination America’s Paranormal Lockdown, Nick Groff and Katrina Weidman. The new series began on March 4th at 10/9c. The series is slated for six-episodes. Q: What brings you back to the paranormal? Nick Groff: I was brought back to the paranormal field because I want to move the paranormal field forward and teaming up with Katrina to confine ourselves for 72 hours in some of the most haunted locations in America to further our research and discover something new in the paranormal community that they can put a name to stuff that is unknown. They aren’t out there to prove ghosts exists or not, we are out to discover something that we don’t fully understand yet and I feel that’s the point I am at in my life now that I’m getting a little bit older and we’re pursuing different things and we are heavily researching it now so where very excited about Paranormal Lockdown and what it brings. 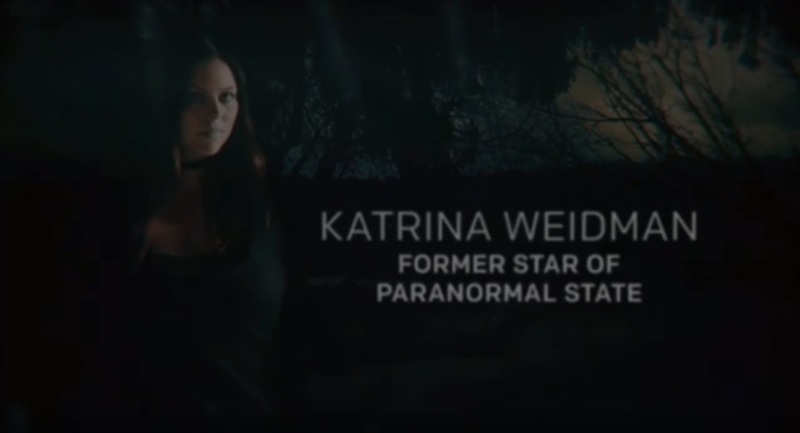 Katrina Weidman: The last time I did paranormal television was in 2015 so it wasn’t too long ago. The thing is there are always paranormal projects but they don’t always feel right. But working with Nick felt right and the project felt right. Because Nick is a paranormal investigator as well as an executive producer so that made me feel really comfortable that this was going to be a show that was respectful to what we do. Nick Groff: It gets intense at times. It moves really fast because we have over 8 TB of footage after three days of investigating non-stop, we are literally rolling our cameras as much as we can and its crazy how it gets to the point like day two, night two, we become vulnerable. We start to realize more things are happening in the environment that we are immersed into. Each location is different, you feel like there is a weird presence that it brings. We studied the locations and picked them for a particular reason because we want to research topics that we just don’t understand. Trans-Allegeheny Lunatic Asylum we picked that one because of the experience I had in 2009. I just wasn’t sure what I saw in the peripheral of my vision. I saw a shadow figure move. And wanted to go back and study more on shadow figures. It was Katrina’s first time and it was amazing being back at this location and what we captured. Each location is different per the stories and what the evidence is and our own personal experiences when we walk out of it. Q: Do you have any teasers for the next episodes? Does the finale episode showcase a penultimate paranormal experience? Nick Groff: I feel and I don’t know how you feel Katrina but I feel that we’re getting closer and I think we’re experiencing… Finding the paranormal is like finding a needle in the haystack sometimes. You never know when that is going to kind of stick out and kind of poke you so I think sometimes when we get a little too close when in the right situation, and we are in one of our most vulnerable states that’s when things start to drain us. It’s not only the paranormal. We separate the paranormal perspective, it’s an environmental element too. We’re putting ourselves, our physical and mental bodies through a real rugged, gritty three-day…Katrina labels it a bad camping trip. I can be pretty brutal sometimes at some of the locations. You just never know. I’ve always been one to say wow I experienced that at that location I don’t know if I can top it and then I keep surprising myself with new experiences and new things that I am learning as I grow older. The amount of research and the amount of experiences that we are putting ourselves through we’re starting to understand new things that I never knew before. Q: I’m happy to see that there is a woman on the show. I feel like on paranormal television we don’t have a lot of that. I feel that doesn’t make for a balance or a fair investigation. I think it works well with male and female energy because that bring out all different things in the spirit world or whatever it is that is out there. How do you fell about being the female representative of paranormal shows at this time? Katrina Weidman: It’s good because like you said it doesn’t happen. There’s been a couple of shows that had it but they were short lived or the female wasn’t as dominant as the male. It’s good because with the paranormal we don’t know what it is. I’ve been so many investigations where people say it only targets the females or it only targets the males. If you aren’t representing both genders then you are really losing something in your investigation. I’ve heard from so many females, “What the hell? We’re not fully represented as for paranormal television goes.” There’s a female on this show but she is only shown for two seconds, all of her comments are cut out with editing, or if there is a female she is screaming and running out of the room the minute when something happens. I’ve met some really tough women in the field who sorry to say but have balls of steel when it comes to facing this stuff. I’ve heard a lot from different women that they don’t feel that they have been accurately portrayed in television in the field. Hopefully I can do some justice for that. 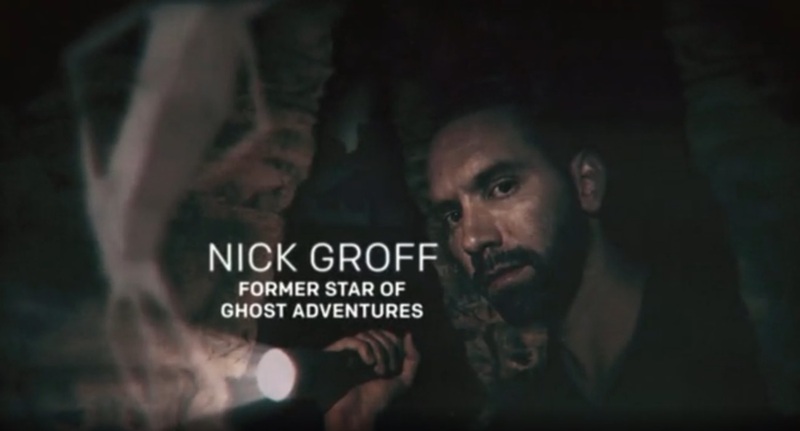 Nick Groff: Not for all of them. We have people come in from all walks of life and people that have had experiences that will hopefully further the field. It’s not a random choice. I’m at the point where I think that why don’t all of us come together. There’s no separation. Where you’re on the side of the line. We’re on this side of the line. Let’s come together and try to discover something new in the paranormal field. For Trans-Allegheny we decided to bring in Amy Bruni and Adam Berry because number one they are really good people and they are good friends of ours. We need to study apparitions and we need to pinpoint. This is a massive location. It sits on 666 acres, thirteen buildings. We wanted to try to hone in on some of where these happenings are with the shadow figures. Amy and Adam both had experiences to try to show us where some of their experiences happened, what floor, and point out exactly where they had these occurrences. For the rest of the locations, there is reasons for everything that we are doing. There’s reasons for why we picked these locations and what we are after. The stories that we are trying to conquer. Why we bring in people or have to talk to people is to push our investigation through. Christiane: I think that is a great idea. There needs to be more unity in the paranormal and a lot less drama. I’m glad you are using that and getting out there that we need to work together to get things moving forward that’s the best way that it can be done. Q: Any place in the world that you would like to investigate? Katrina Weidman: For the most part I’ve investigated residential houses so most of the bigger, well known places I haven’t been to. I’d like to go Waverly Hills. Anywhere in Europe that has an old castle. Definitely the house that I grew up in. I would love to get in there and see if I could get anything. Nick Groff: Places on my list, I’ve been looking at for years. For instance Franklin Castle, that’s one of our episodes coming up in Cleveland, Ohio, episode number three, we were studying and researching, and looking at it for fifteen years. I wasn’t able to gain access until recently which allowed us to go in and investigate it, Katrina and myself for Paranormal Lockdown. 15 years it took me! I have locations I’ve been looking at for a very long time that some people just can’t gain access to that I’m trying and I’m hopeful in the future so we can do more of these locations for Paranormal Lockdown that have never been fully investigated and haven’t broken ground in decades. There’s a lot of locations internationally that I’m really interested in too because there is a lot of history over there overseas their history dates farther back than America. I’m fascinated to look at it even further. Christiane: I’d like to investigate Graceland. Katrina Weidman: Graceland, that’s a good one. Christiane: Thank you for talking to me today. I’m looking forward to the next episodes. I’ll be sharing and letting people to know to watch Paranormal Lockdown. Nick Groff: We really appreciate the support. Thank you so much for all of the support. We think it is a new, fresh take on the paranormal and I feel like it is moving the paranormal forward and that is what we need today.